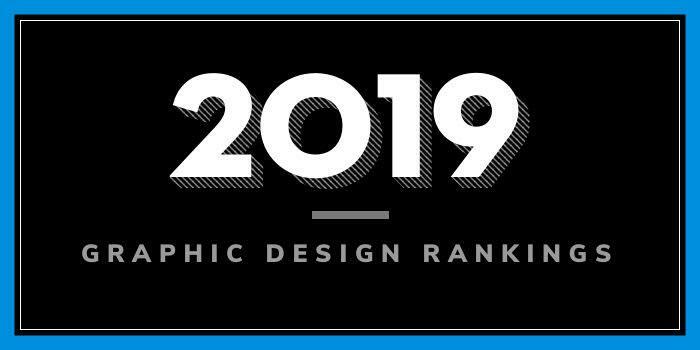 Our 2019 rankings of the top 10 graphic design school programs in Ohio. For an explanation of the ranking criteria, click here. Founded in 1910, Kent State University (KSU or Kent State) serves nearly 40,000 students (in an eight-campus system) enrolled in more than 300 degree programs across dozens of colleges and schools. The College of Communication and Information (CCI), School of Visual Communication Design, offers several programs for aspiring graphic designers including BA, BFA, MA, and MFA degrees in Visual Communication Design. A Design Minor is also available. The BFA program leads to a professional degree and focuses on intensive work in the visual arts supported by a program of liberal/general studies. Students develop technical proficiency and design expertise in the organization of imagery and typography to communicate information in both two-dimensional and three-dimensional form and interactive forms and environments. The MFA is recommended for students with undergraduate degrees in design or related fields who wish to enter a career in higher education instruction or to advance their studio skills in print design, illustration, web design, 3-D design, motion graphics, interactive design, corporate identity, information architecture, interaction design, information graphics or a combination of two or more. This terminal degree offers graduate teaching and research assistantships, individual plans of study, experiential learning, design history and research. Interdisciplinary study is encouraged. All School of Visual Communication Design students must complete 300 hours of internship before graduation. Most internships are paid, and students have the opportunity to work at major companies across Cleveland and in Chicago, San Francisco and New York. Students in all programs also have plenty of study abroad/away opportunities. Founded in 1819, the University of Cincinnati (UC) serves nearly 46,000 students enrolled in 370 degree programs across 13 colleges and a graduate school. The College of Design, Architecture, Art and Planning (DAAP) houses the Myron E. Ullman Jr. School of Design, which offers a BS in Communication Design. The program, which takes five years to complete, offers three Concentration areas including Graphic Design, Motion Design, and Interaction Design. The MFA in Digital Animation and Interactive Media allows students to select courses that cover visual design, technical skills for animation and interactive media, programming and algorithms, audio design, writing and scripting, and professional development. Founded in 1882, Cleveland Institute of Art (CIA) serves 670 students enrolled in 15 majors in art, design, craft, and interactive media. Among them is Graphic Design. Students in this BFA program will "explore both innovative and traditional methods of graphic design including typography, print and web design, package design, and signage," Says the school. Students will be "introduced to forms, methods, conventional and experimental types of media, and concepts crucial to creative development, self-expression, and effective visual communication and production." Other program highlights include the opportunity to collaborate with Industrial Design and Interior Design students on projects and in the classroom. The integrated curriculum will help students "build valuable communication skills and develop techniques" for presenting their ideas and final projects. Graduates of the program are prepared to seek positions such as Advertising Designer, Art Director, Associate Partner, Film Director + Writer, Magazine Designer, and many others. Ohio University was established in 1804. The school serves more than 23,000 students enrolled in more than 250 programs across 11 colleges and 15 schools. The College of Fine Arts, School of Art and Design offers a BFA in Graphic Design. Per the school, students enter the School of Art and Design as BA majors and to become a studio art BFA major in graphic design, they first complete the Foundations Program, take two 2000-level studio graphic design courses, plus two studios outside of graphic design, and submit a portfolio of studio work for review at the end of the sophomore year. Course highlights for the program include Animation, Content & Concept in Material & Form, Digital Photography, Experimental Drawing and Painting, Figure and Gender, Glaze Calculation & Materials, Graphic Design Principles, Graphic Design Studio I-IV, Letterpress and Bookmaking, Papermaking, Public Spheres & Dissemination Tactics, and Screen/Paper. A Graphic Design Practicum and Graphic Design BFA Exhibit are also of the program. *Students interested in design might also want to explore the design program offered through the School of Visual Communication in the Scripps College of Communication. The BS in Visual Communication offers sequences in Information Graphics: Publication Design and Multimedia. An advisor-approved internship is also part of the program. This opportunity consists of 400 hours of paid and supervised work in the student’s field. Chartered in 1809, Miami University is one of the oldest public universities in the country. The school welcomed its first students in 1824, and quickly became known as the “Yale of the West.” Today, the school servs around 24,400 students across four campuses in Oxford, Hamilton, Middletown, and West Chester. Miami, which houses seven colleges and schools, offers bachelor's degrees in over 120 areas of study. Graduate students choose from more than 70 master's and doctoral degree programs. Several associate's degrees as well as bachelor's degrees are offered through study at the regional locations. Programs for aspiring graphic designers are offered through the College of Creative Arts (CCA), Department of Art. Options include a BFA in Communication Design (formerly Graphic Design) with nine Focus options including Communication, Technical Communication, Interactive Design, Environmental Design, Studio Art, Cultural Studies, Business, Art and Architectural History, and Perception and Cognition. Program highlights include small classes (20 students per class), the opportunity to work on real world projects through interdisciplinary studios, special projects, and visiting artist lectures and workshops. Students will also learn letterpress printing and bookbinding, mixing hand media with new digital approaches, and they have the option to co-major, minor or double-major Interactive Media Studies or choose between Miami’s many other minor and double-major options. Paid internships within leading firms are also part of the program as well as Highwire Brand Studio and/or the Interactive Media Studies capstone. 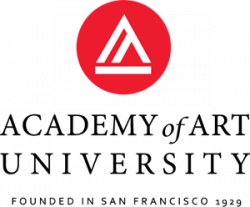 Founded in 1879 and home to nearly 1,100 students, Columbus College of Art and Design (CCAD) is one of the oldest private art and design colleges in the United States, offering 12 BFA programs and two graduate programs in art and design. Options for aspiring graphic designers include a BFA In Advertising Design & Graphic Design and an MFA In Visual Arts. The BFA is a 120 credit hour program consisting of 42 hours of program requirements, 36 core studio requirements, and 42 core liberal arts requirements. Sample courses include Advanced Design Concepts, UX Strategy Interaction, Motion Graphics, Trends in Design, Visual Literacy, Illustration for Graphic Design, Applied Design, Web Strategy and Design, and Digital Photography. Graduates of the program have been hired by A&E Television Networks, BBDO, Saatchi & Saatchi, Young and Rubicam, Arc Worldwide/Leo Burnett, American Greetings, Ogilvy & Mather, and Apple. The MFA in Visual Arts consists of a 60-hour curriculum, taken over two years. Project proposals can be based in design, illustration, printmaking, interactive design, animation, photography and many others. Other program highlights include small class sizes (9-15 students are accepted each year), the opportunity to work with an off-campus mentor or participate in a practicum, and access to the 13,700-square-foot graduate facility, which includes individual student studios, a lounge, and an exhibition space. MFA graduates have been hired by the Academy of Art, the Art Institutes, Beats by Dre the Museum of Contemporary Art, Nickelodeon, and many others. Founded in 1850, with only 14 students, one building and one farm, the University of Dayton (UD) serves nearly 11,000 students enrolled in more than 80 undergraduate and 50 graduate and doctoral programs through five academic units. The College of Arts and Sciences, Department of Art and Design offers a BFA in Graphic Design and a BA in Visual Arts. Per the school, the BFA in Graphic Design is an “intensive professional program of study” that covers “design methods and design theory, and provides the visual, conceptual, and technical skills needed to be a successful designer.” Approximately 65 percent of the degree requirements are in the creation and study of visual communication design. During the course of the program, students will assemble a portfolio that can be presented to potential clients and employers. As seniors, students will present their final portfolio to faculty and the professional community. Founded in 1870 as Buchtel, University of Akron serves around 20,550 students enrolled in more than 300 areas of study through 11 colleges and schools. The Butchel College of Arts and Science houses the Mary Schiller Myers School of Art, which offers a BFA in Graphic Design. Program highlights include several well-equipped graphic design studios, 70,000 square feet of learning space, co-op programs and internships, and access to Emily Davis Art Gallery, which showcases art and design of regional, national and international significance as well as student, juried student and scholarship exhibitions. Students also benefit from the visiting artists and lecture series sponsored by the Mary Schiller Myers School of Art as well as participation in student organizations such as the Student Art League and Design x Nine. Course highlights include Corporate Identity, Digital Imaging, 4D Design Interactivity, Graphic Presentations, Illustration, Packaging Design, Professional Design Practices, Typography, and Web/Mobile Devices. Graduates of the BFA in Graphic Design are prepared for careers as communicators in the visual arts, including Graphic Design, Illustrating, Photo Editing, Photography, and Web Design, as well as work as a Creative Director. Established in 1910, Bowling Green State University (BGSU) serves 19,000 students, including 2,500 at BGSU Firelands in Huron, Ohio. Students come from 50 states and 70 other countries The school offers more than 200 undergraduate majors and programs on the main campus and eight baccalaureate and 14 associate degree programs at BGSU Firelands. Programs are offered through eight colleges, including the College of Arts and Sciences. Course highlights for the program include 3D Design, Graphic Design Thinking, Histories and Theories of Design for Social Impact, History of Graphic Design and Integrative Models, Interactive Graphic Design, System-Based Graphic Design, Time-Based Design, and Typographic Systems. The BGSU Graphic Design facilities are housed in two buildings—the CAVE (Center for Advanced Visualization and Education) Lab, in the Fine Arts Center, and classroom space in located in the Wolfe Center for The Arts. Students have access to progressive digital lab facilities, making spaces and galleries, as well as Adobe Creative Cloud and the Adobe Typeface Library, which affords students access to over 2,300 of the strongest and most respected typefaces available. Spaces also contain color printers and bookbinding equipment, plus a thirty seat lecture space.